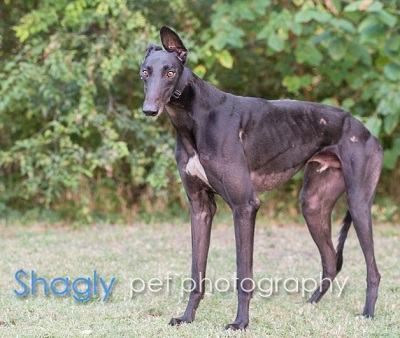 Cleon, aka Atascocita Cleon, is an almost 3-year-old black male born November 11, 2012. His sire is Kiowa Sweet Trey and his dam is Atascocita Cora. He has no races on record. 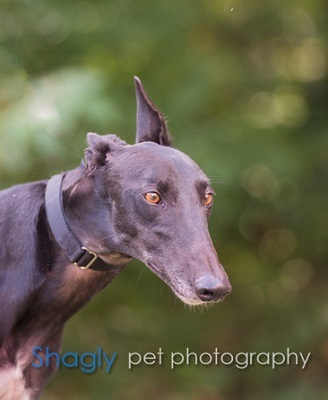 He may not have been destined to races on the track, but he will happily race to his forever home! Cleon is not considered cat tolerant at this time. Cleon's right rear foot has had a toe amputated prior to his arrival to GALT. It appears to cause him no discomfort at all.